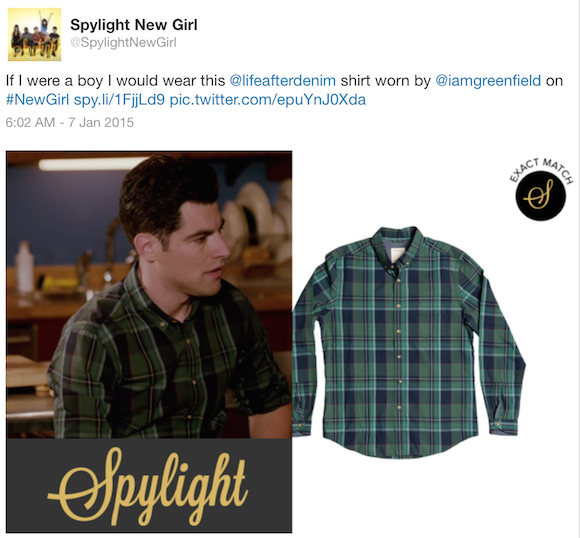 American sit-com New Girl is now in its fourth season and even though its ratings are not as good as they were in the first season, the show still delivers some hilarious moments. 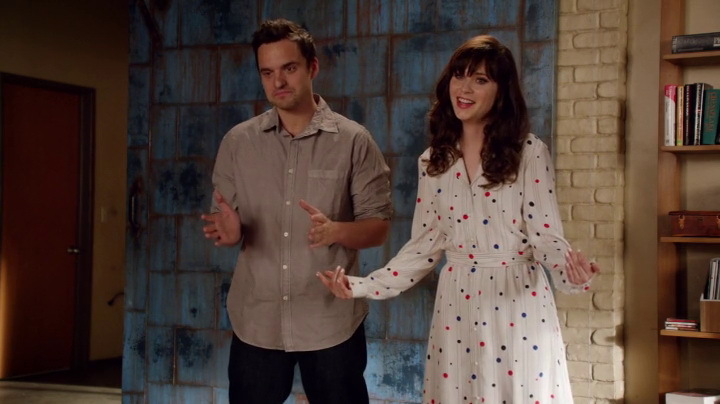 In the first seasons the main strength of the show was ‘adorkable’ Zooey Descanhel, but as the show progressed it has finally embraced its status as the new “Friends”. I’ve written several pieces about Zooey, her glasses and the clothes she was wearing. 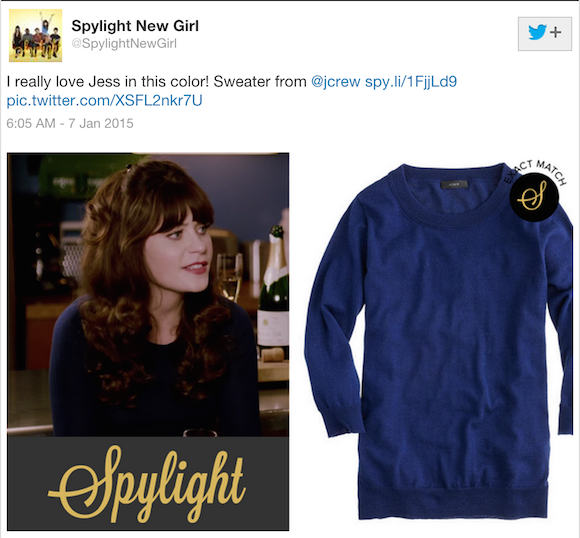 The season 3 finale was exceptional about that: Zooey was wearing several pieces from the collection “To Tommy From Zooey” that she and Tommy Hilfiger created. The whole episode ‘Cruise’ was a long presentation of that collection. 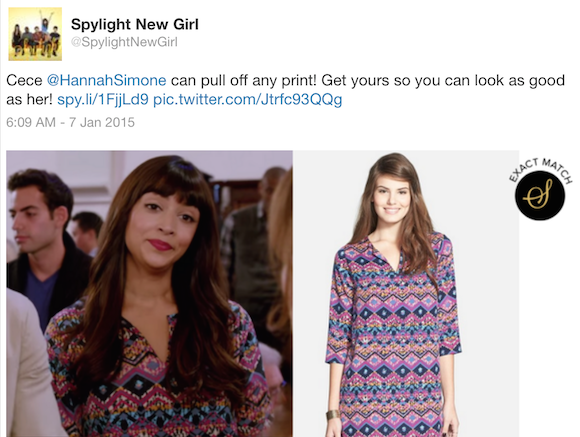 Fashion plays a big role in New Girl, from Zooey’s adorkable beginnings to Schmidt’s kimonos, Nick’s shirts … Recently I’ve noticed interesting tweets on my Twitter timeline about fashion from New Girl. 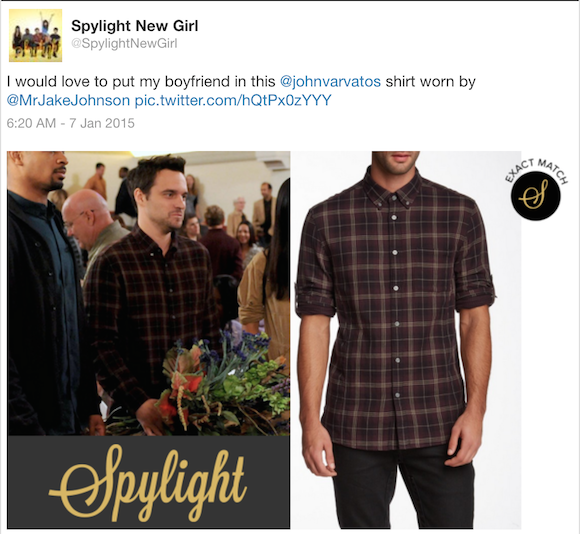 Spylight has been tweeting what were characters wearing and also providing information where to get those pieces. What is Spylight? The description on company’s website says that Spylight lets you shop television shows and movies instantly. You can shop your favorite characters’ wardrobes by show, season, character, and more. You can also find exact matches or shop similar looks, all in one place. Jane Steele, set relations director from Spylight gave some information about the company for Brands&Films. How and when did you get an idea to start Spylight? How big is the team? How do you decide which movie or TV show will you cover? How difficult is getting information about wardrobe from movies/TV shows and how do you do it? Do you also include other products besides wardrobe? Which movie/TV show has the best costumes in your opinion? 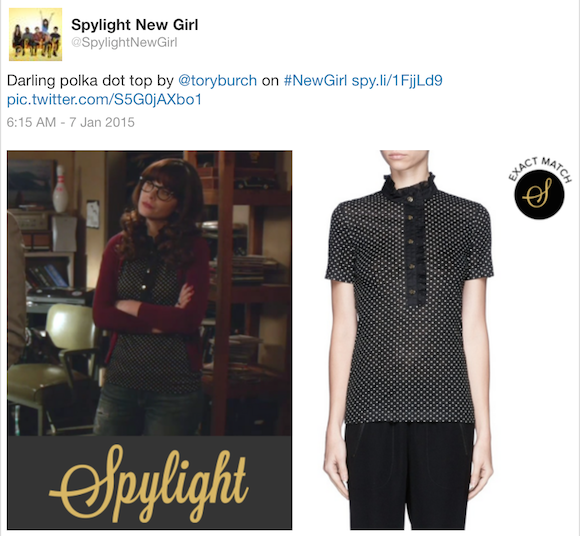 You can check fashion from New Girl at Spylight’s website or follow New Girl updates on Twitter. Jane Steele is Set Relations Director at Spylight. Read more about Jane’ Spylight style.